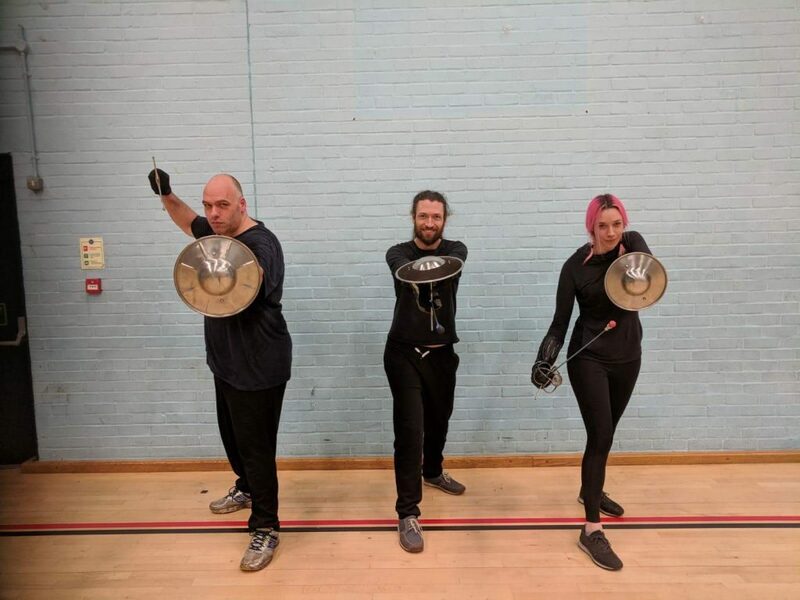 Congratulations to our new studenti who passed their safety test last night in Reading: Jim, Daniel and Emma. 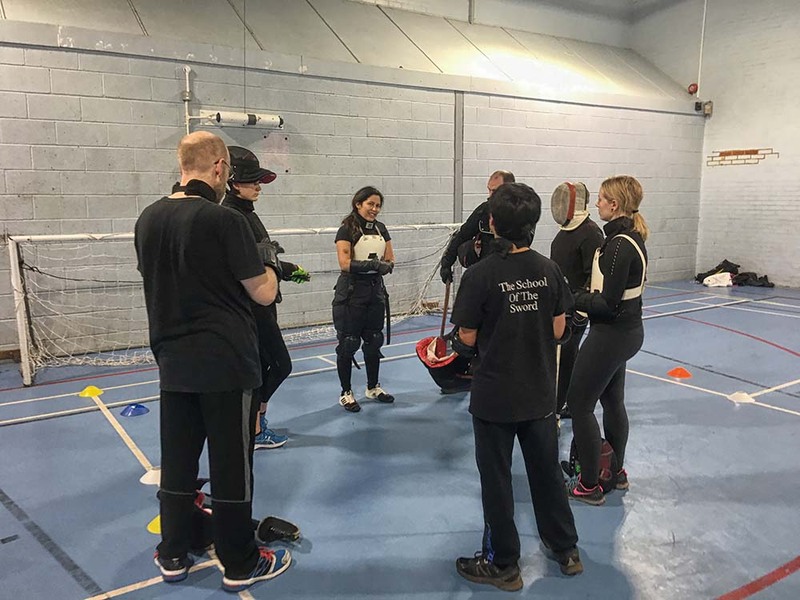 They are now able to participate in freeplay, and are full members of the School. 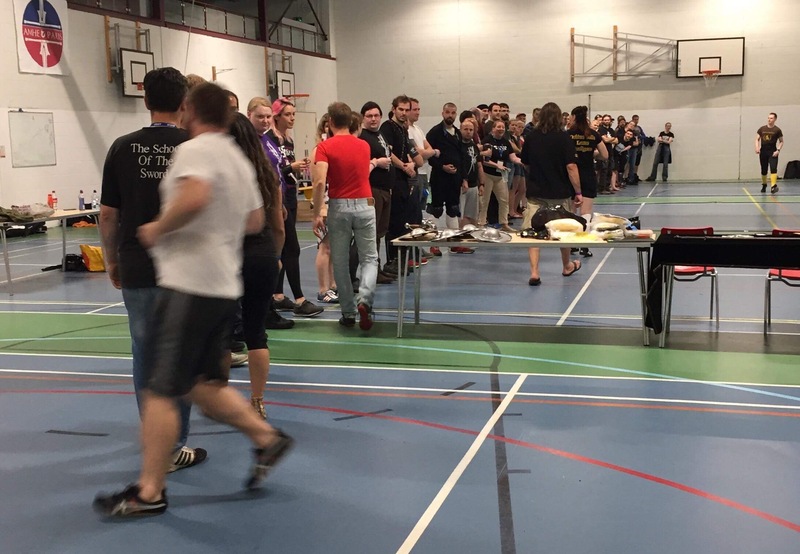 We wish them every success in their careers with us. 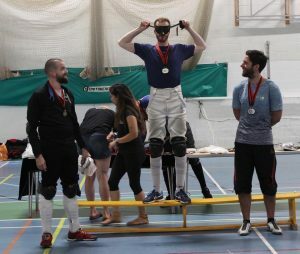 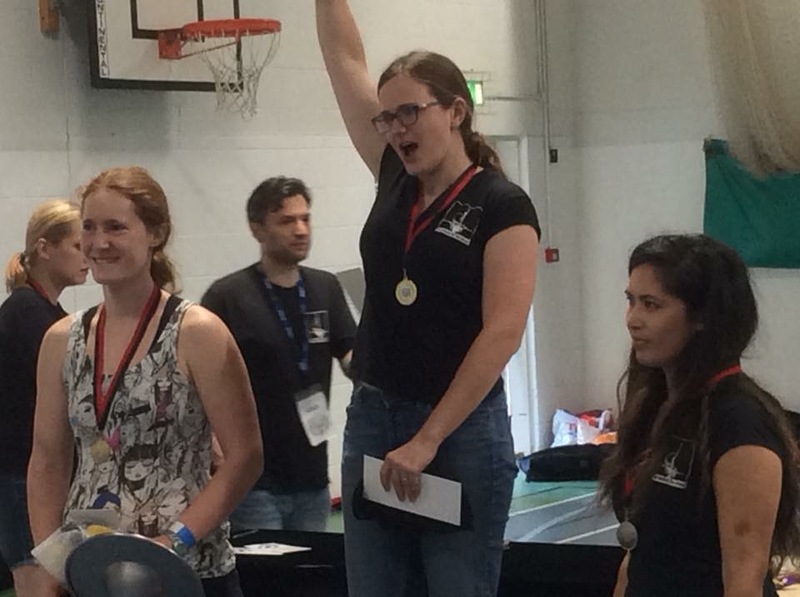 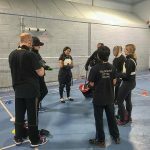 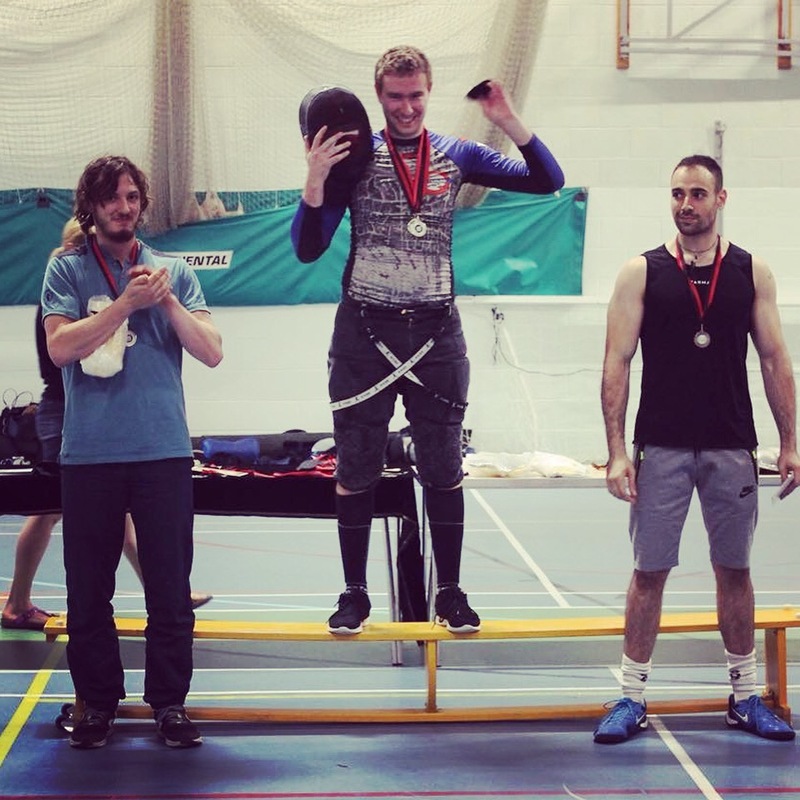 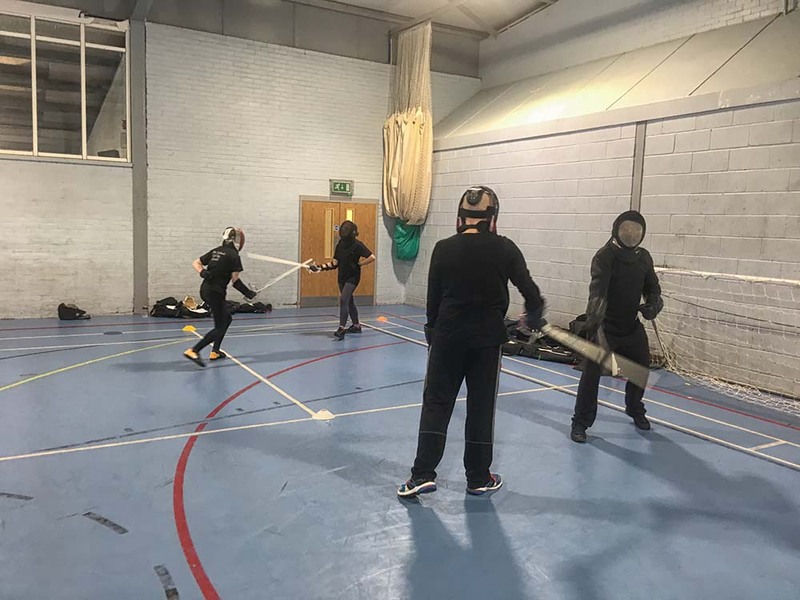 The Safety Test is an integral part of our curriculum, where we test candidati (new recruits) for their technical knowledge and application, as well as their ability to practice fencing safely. 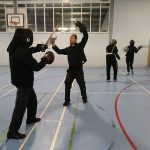 Once passed a student then becomes a full member of the School. This was the last night of the current teaching block and we enjoyed a very full class. 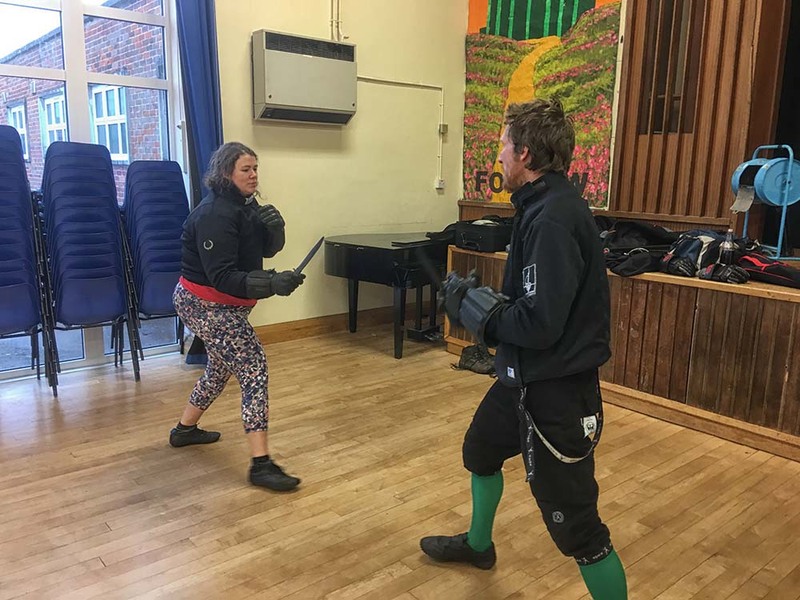 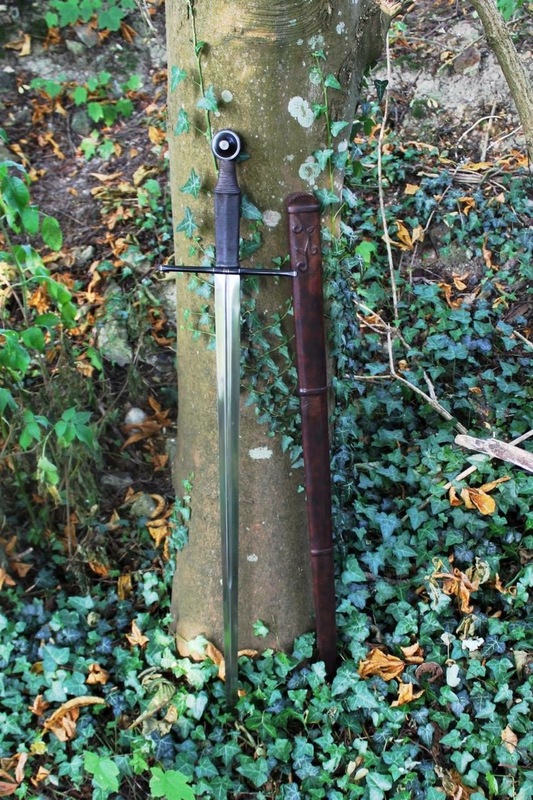 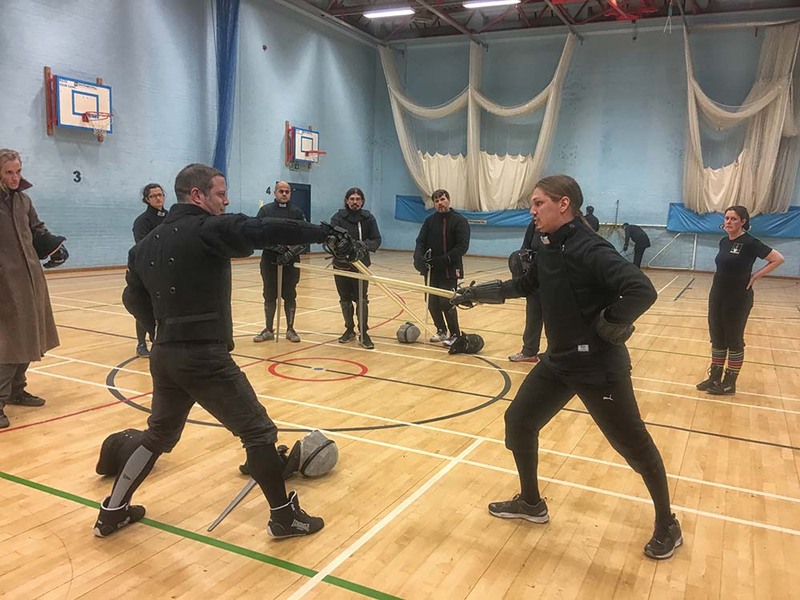 Kasten took the Bolognese group through tactics in single sidesword, whilst Lynette finished her course on at Fabris’s proceeding with single rapier. 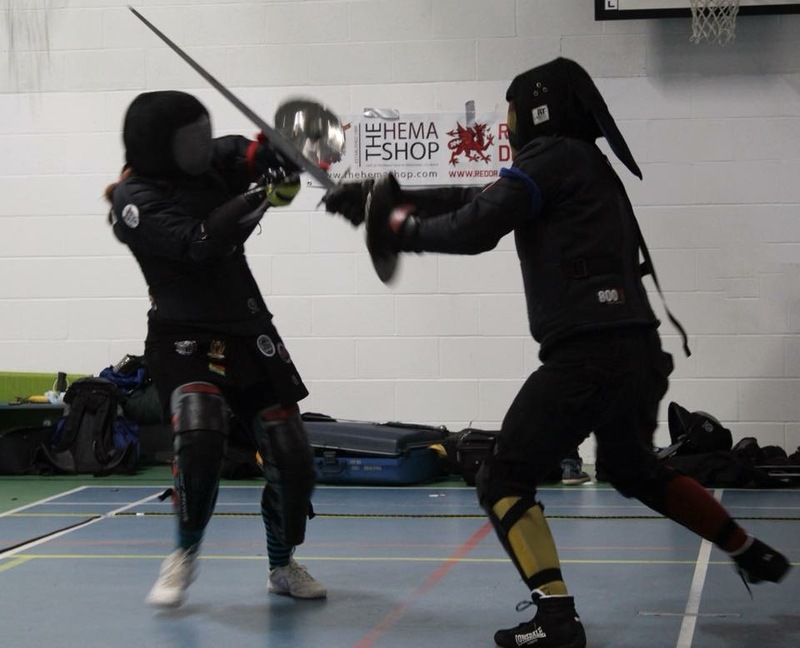 Next week will be a “Technical Tournament”, and the week after will be a Sparring Night. 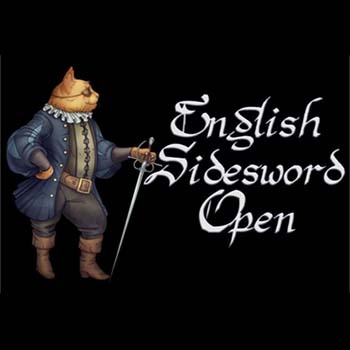 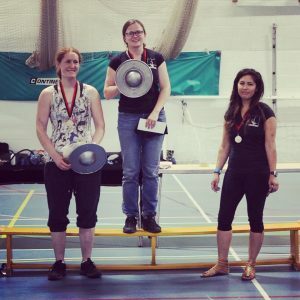 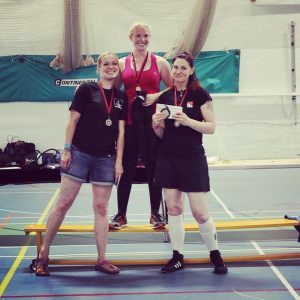 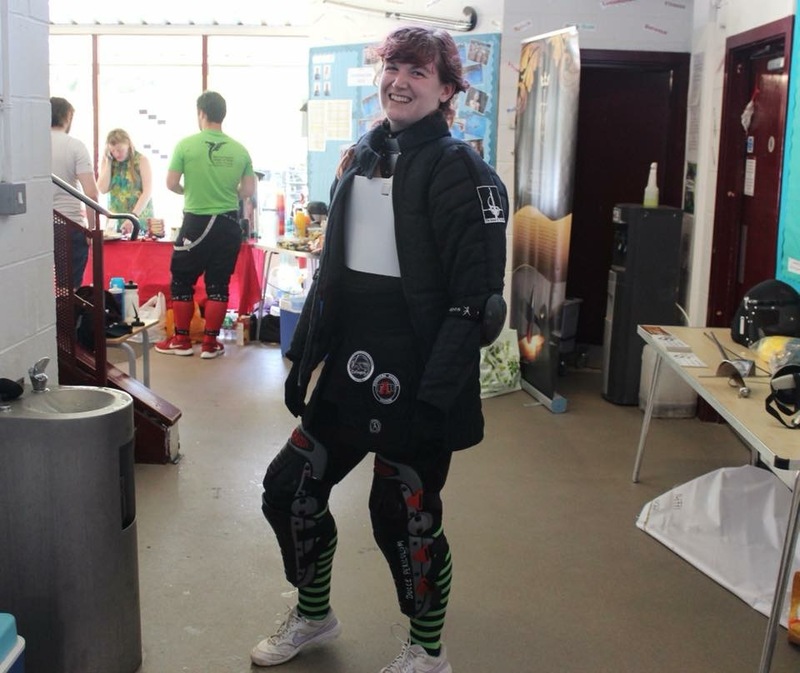 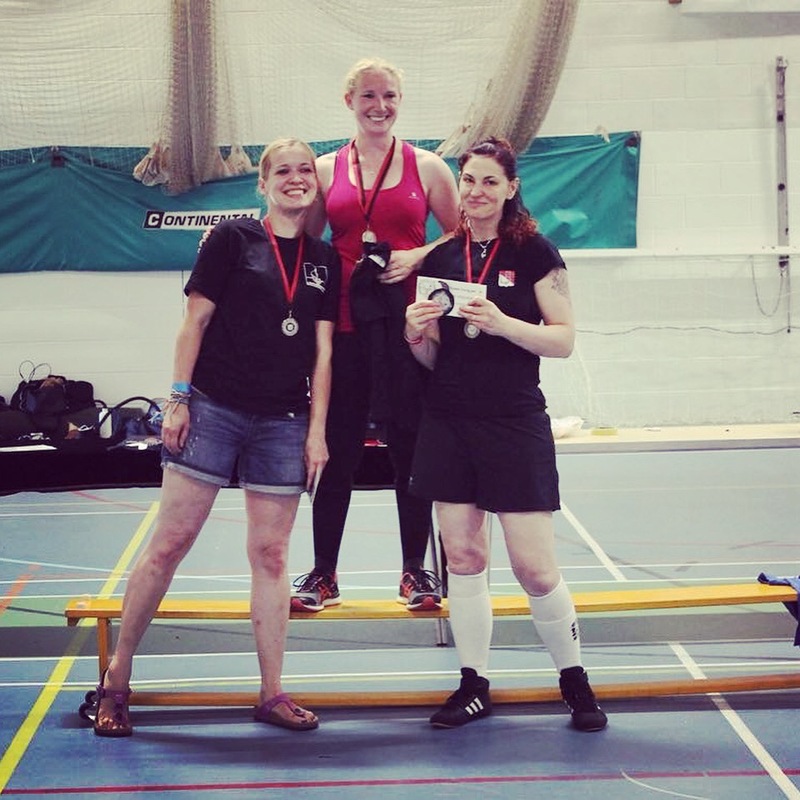 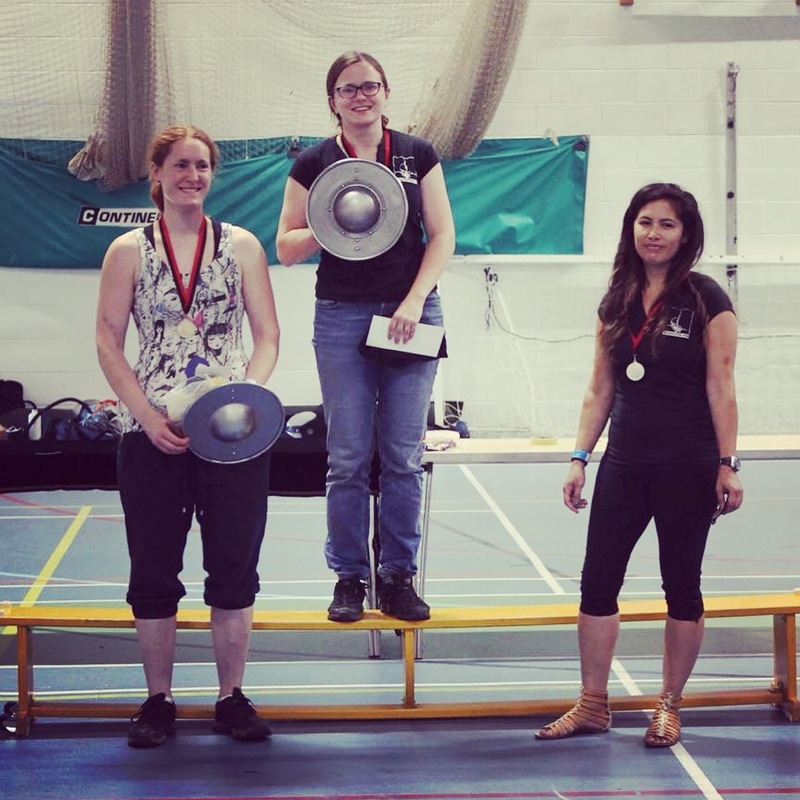 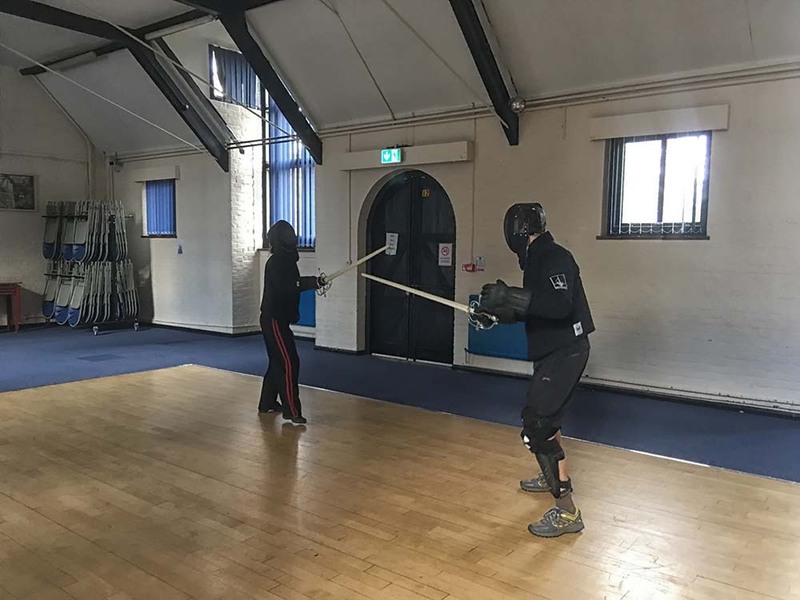 May heralds the beginning of our next Beginner Course, Emilia’s course on single rapier and Jack’s course on the Spadone. 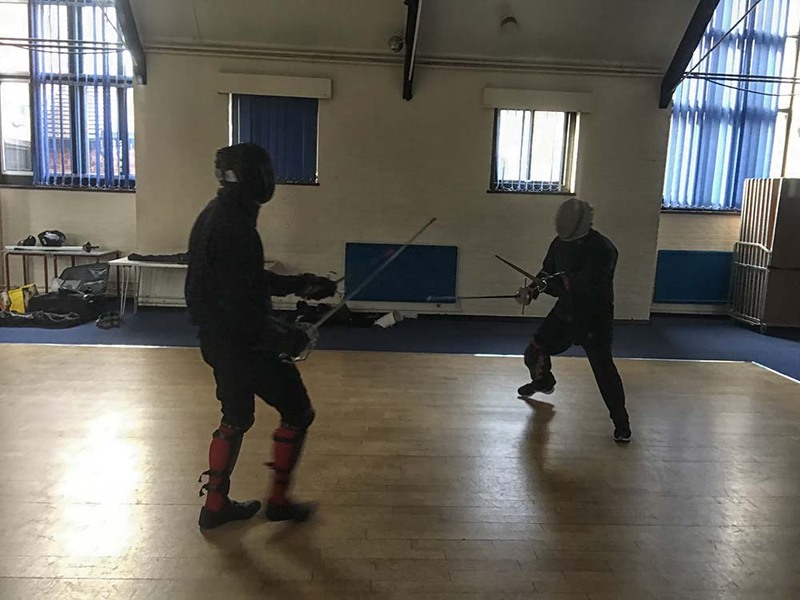 Sunday sparring was in Hawley this week with a number of students turning up looking to get in some extra practise. 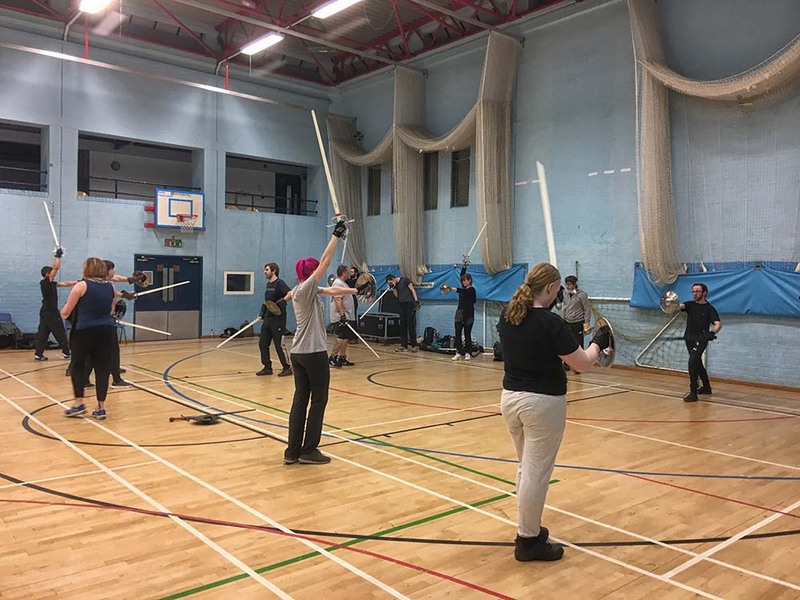 Students gathered last night our regular Wednesday night training session in Godalming. 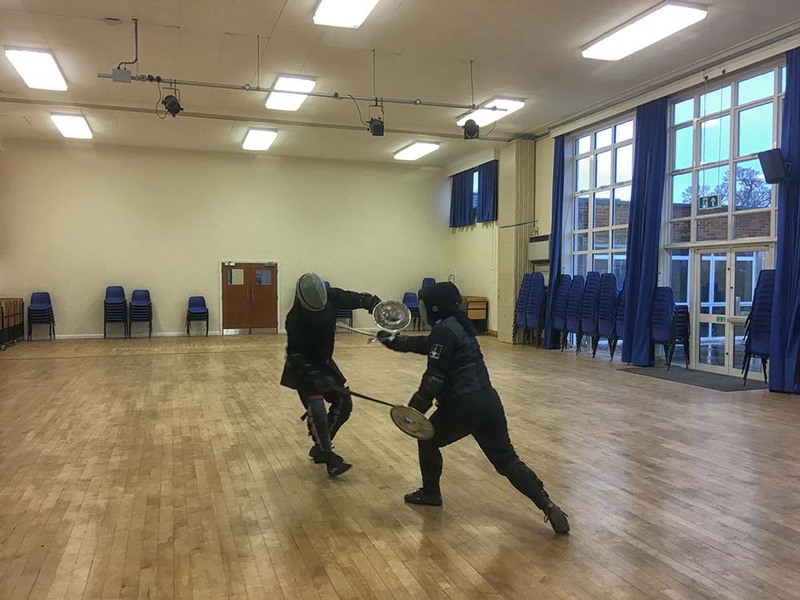 Fran taught a class on sword & buckler and Adrian continued his introduction to rapier. 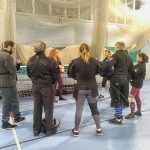 Our Reading students met up last night for our regular training sessions, with three streams of training on offer. 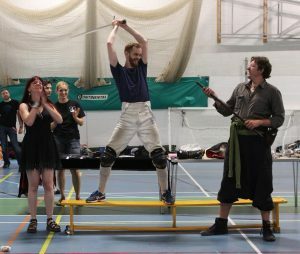 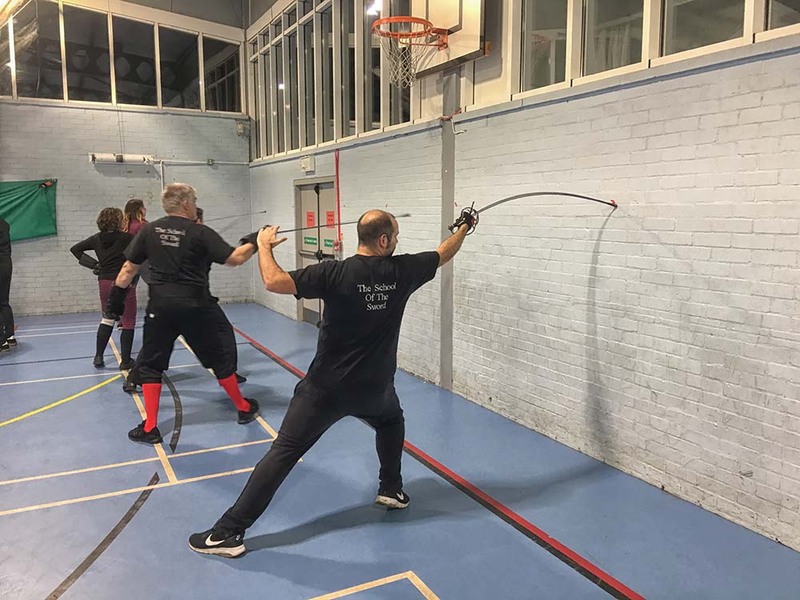 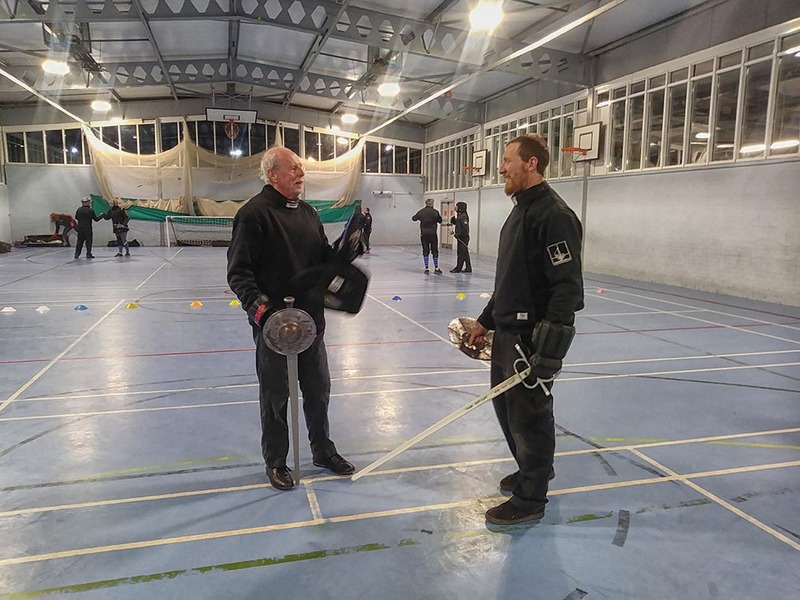 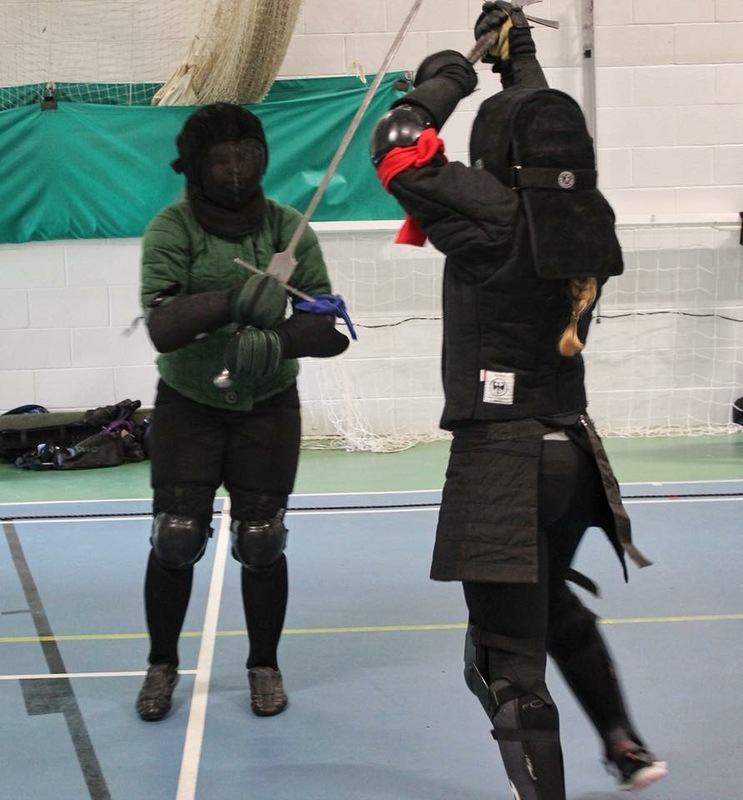 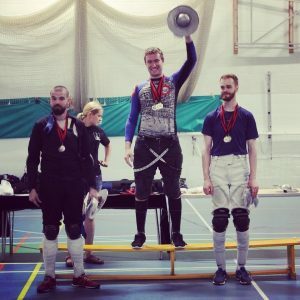 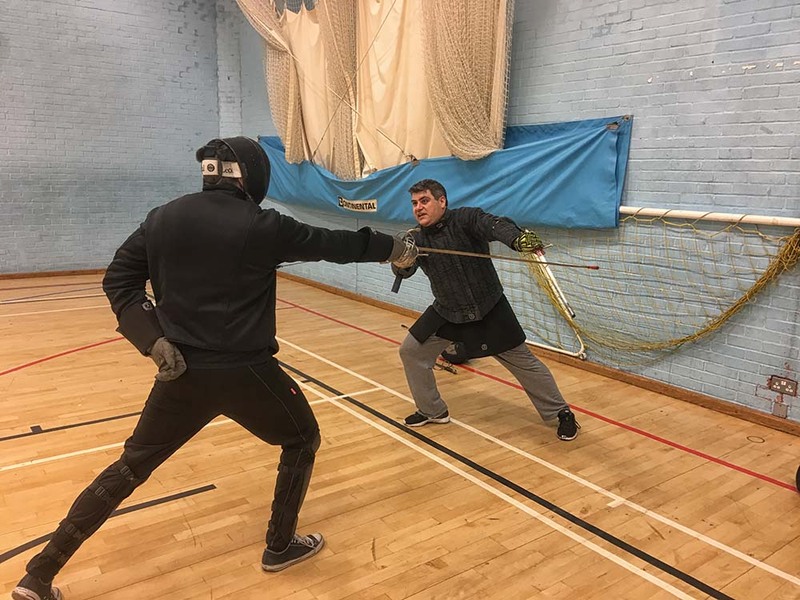 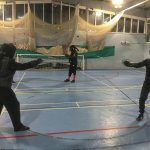 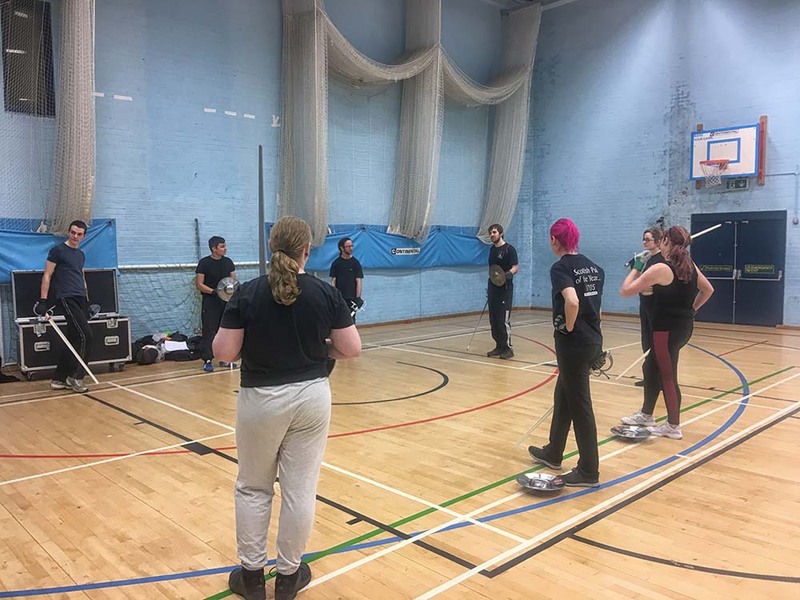 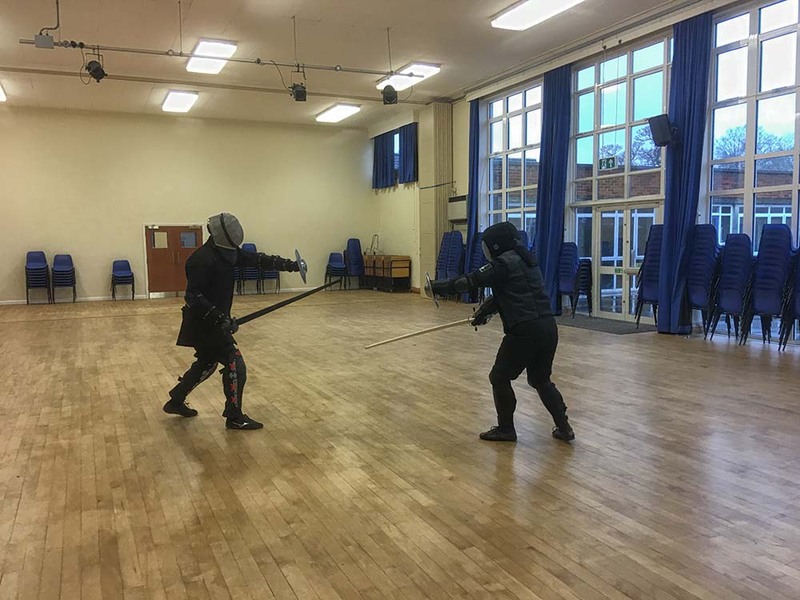 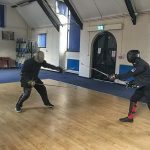 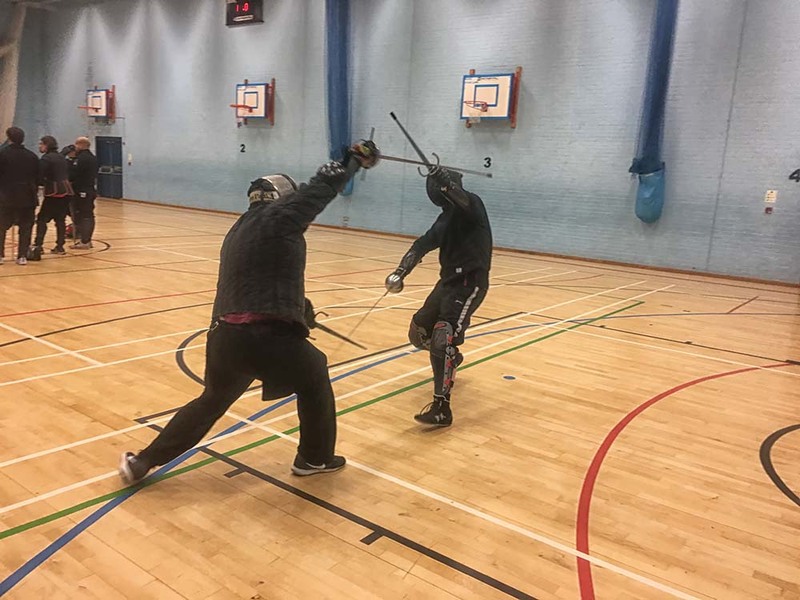 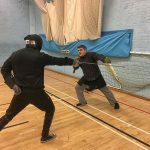 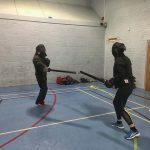 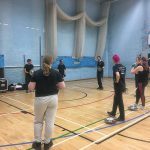 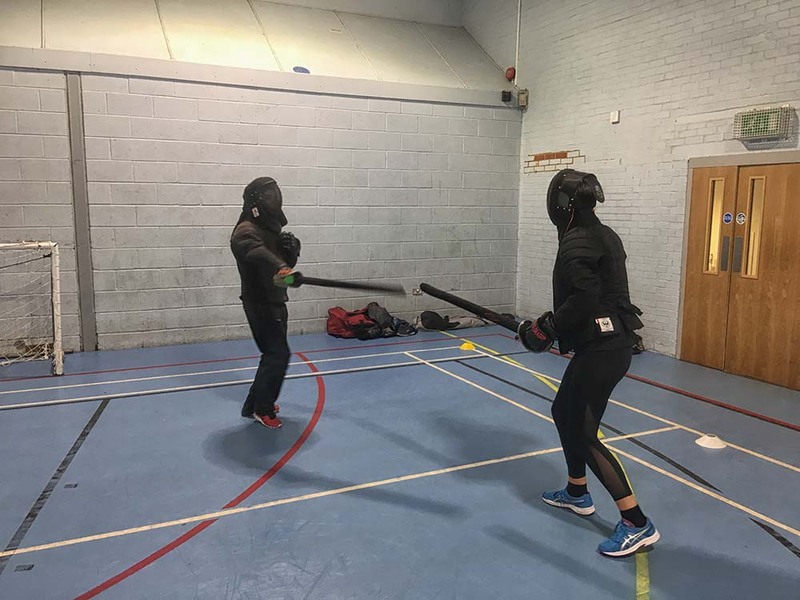 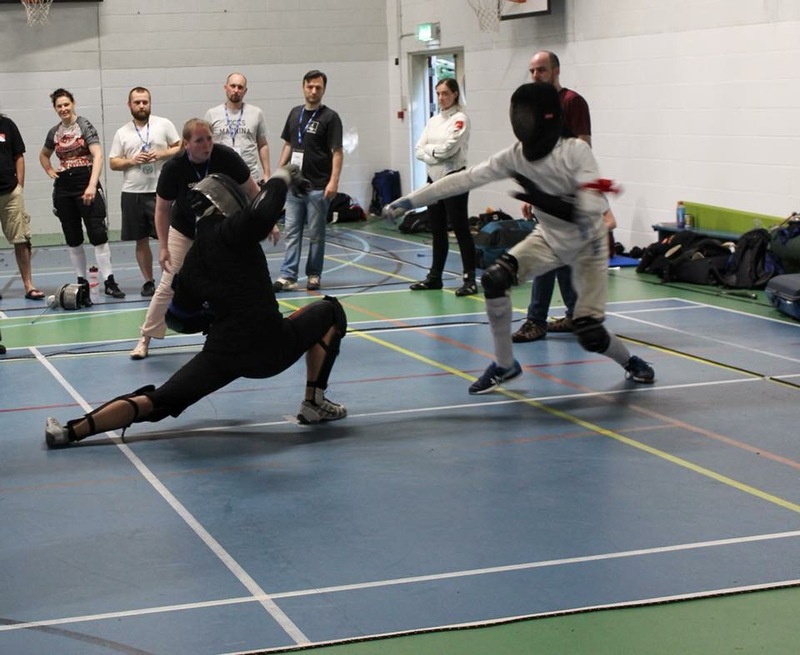 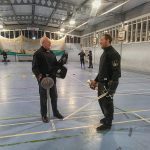 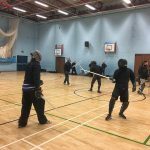 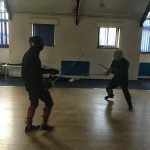 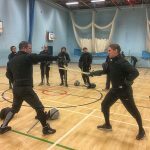 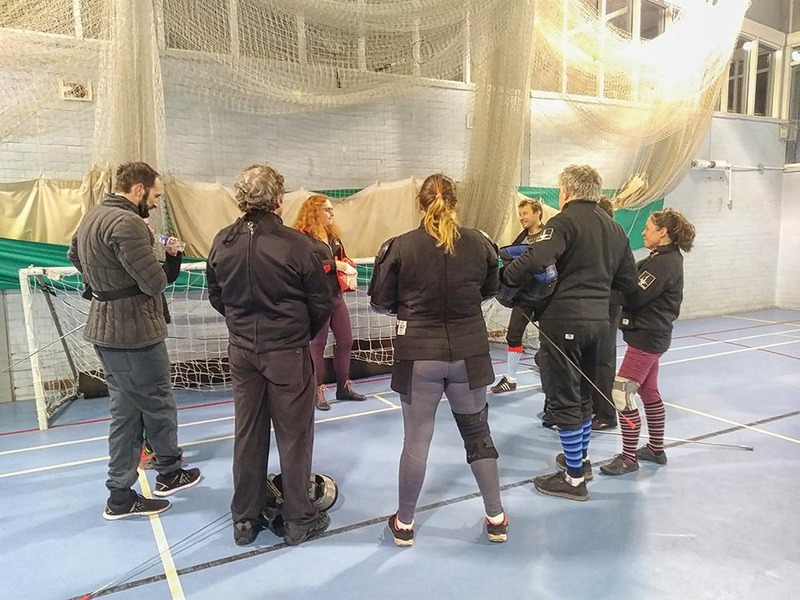 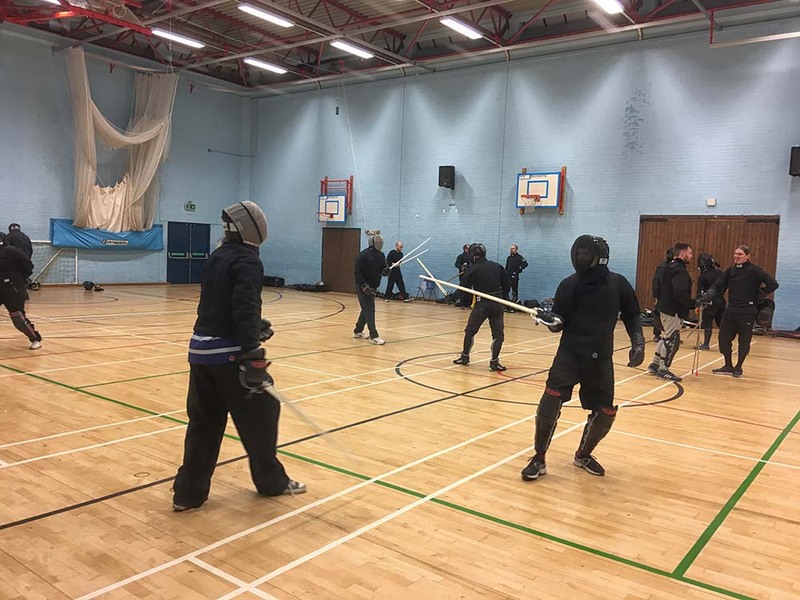 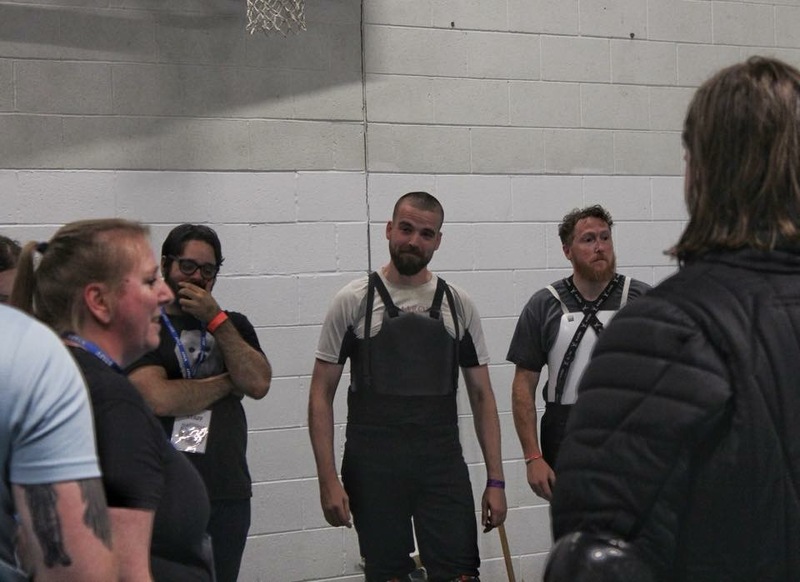 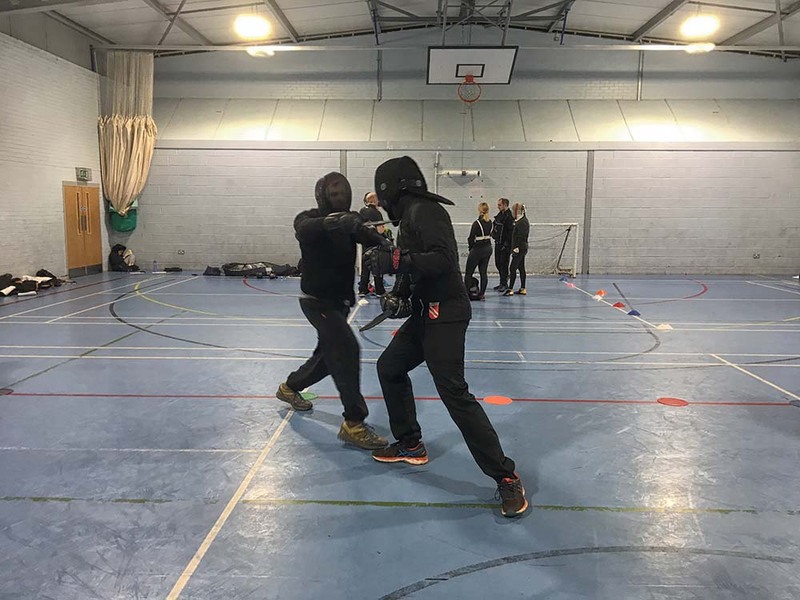 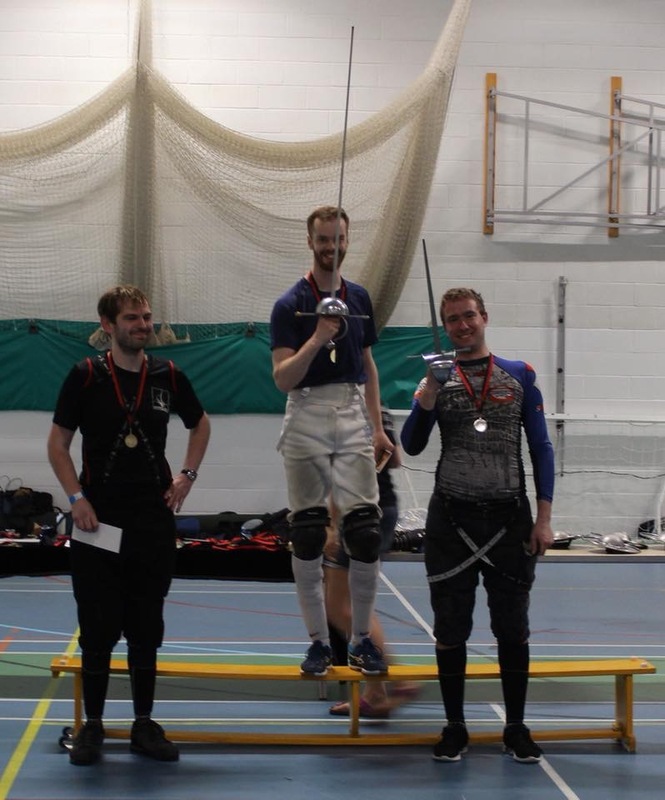 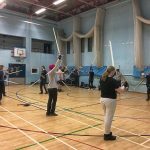 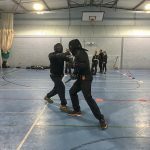 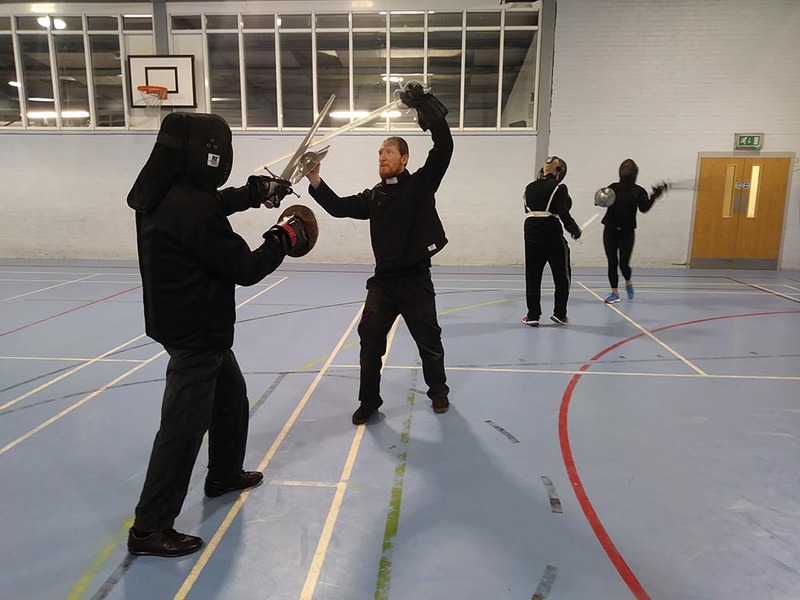 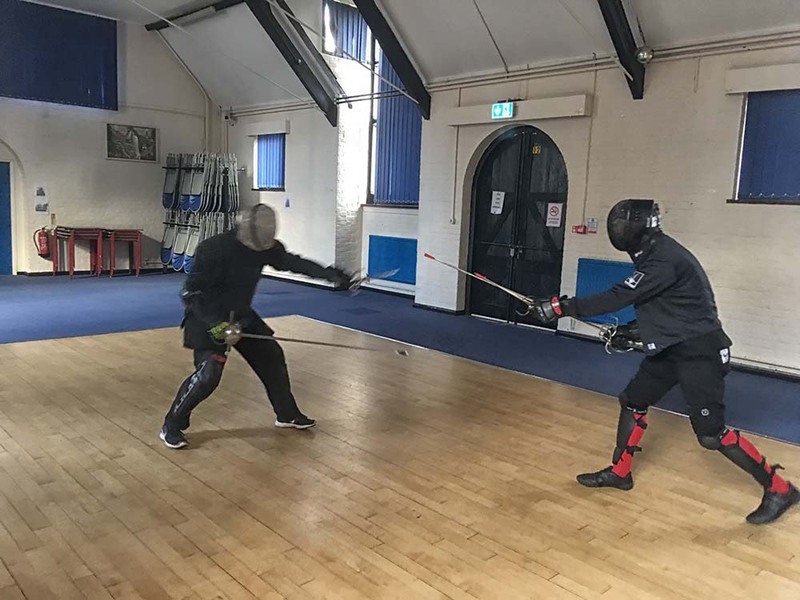 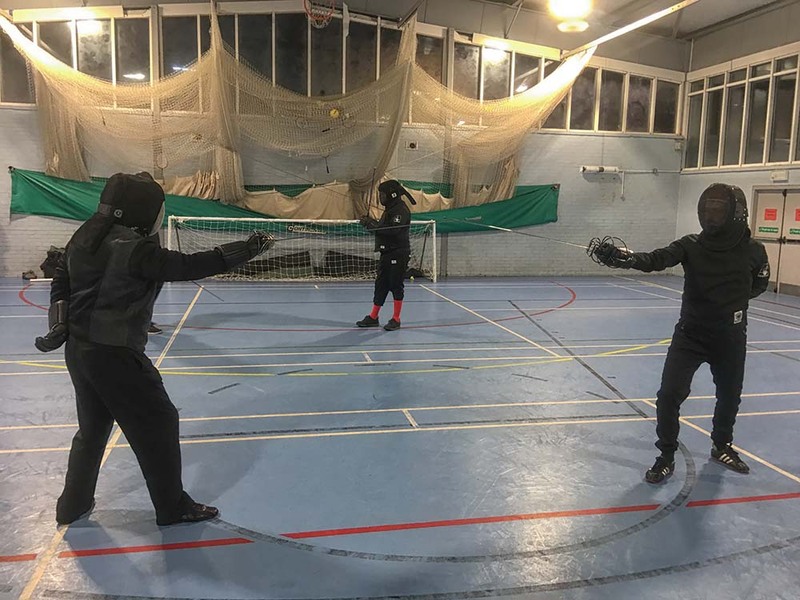 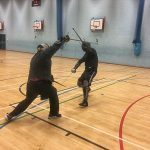 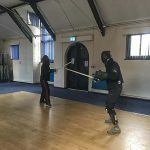 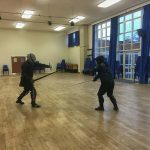 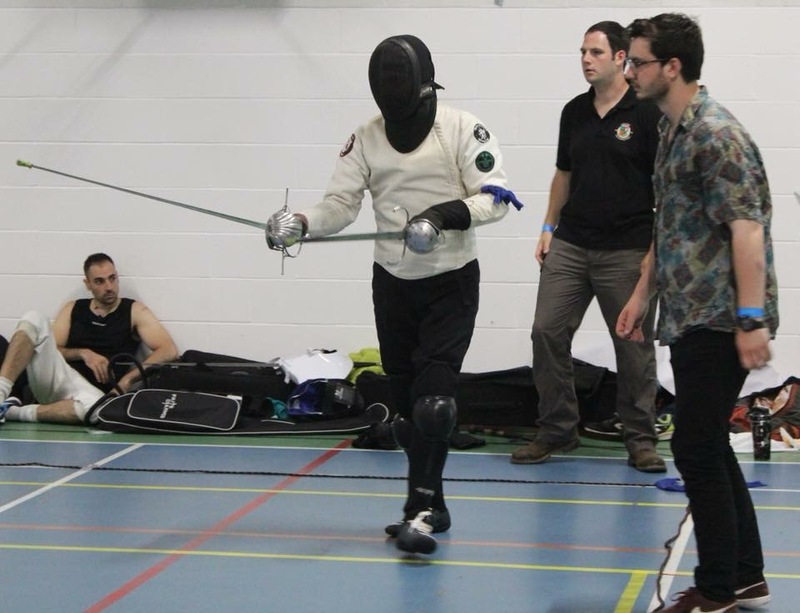 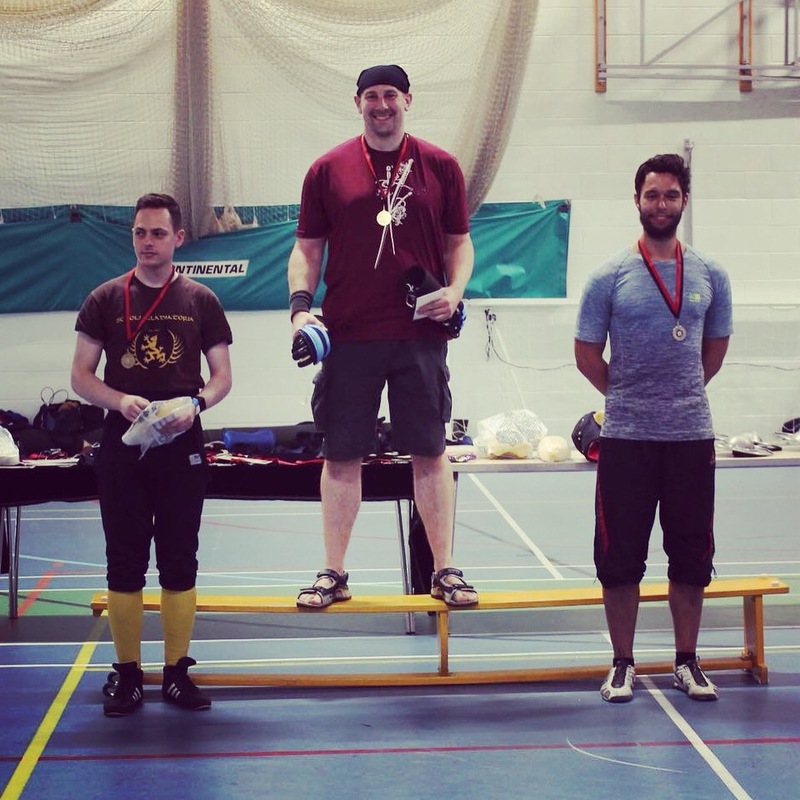 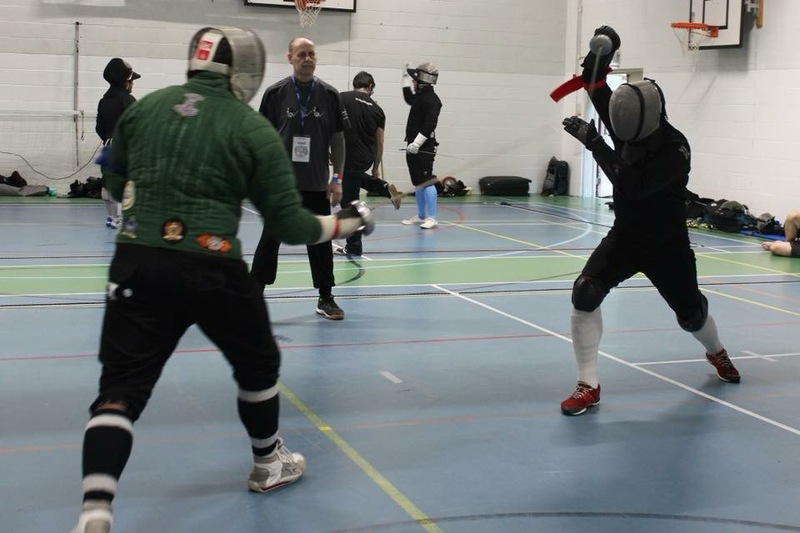 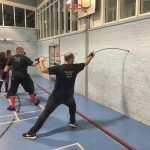 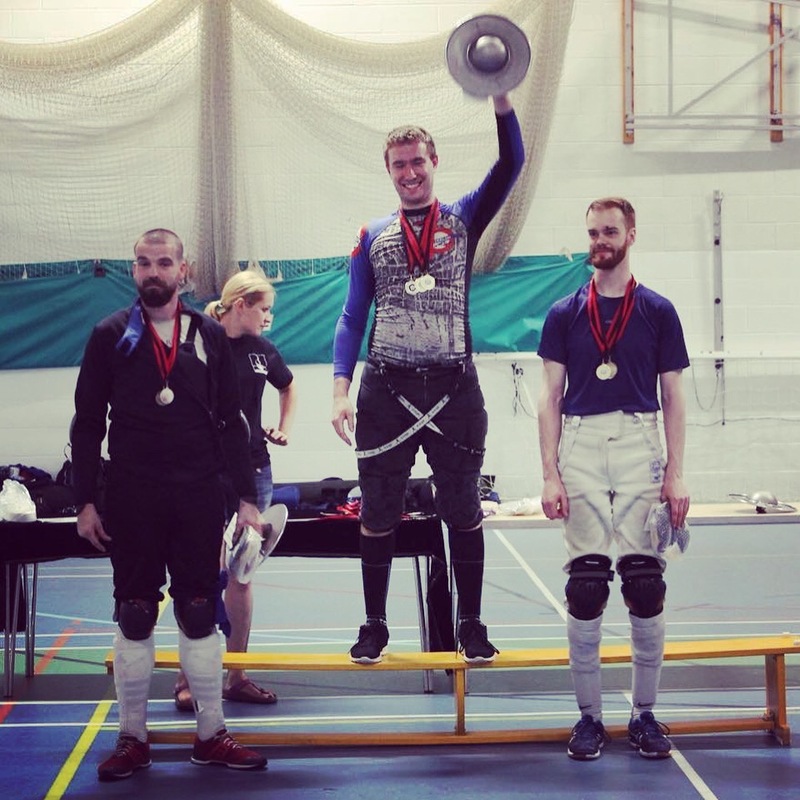 Matt & Andy continued working with the beginners on their introduction to swordplay, James taught sidesword and Christophe took the rapier group. 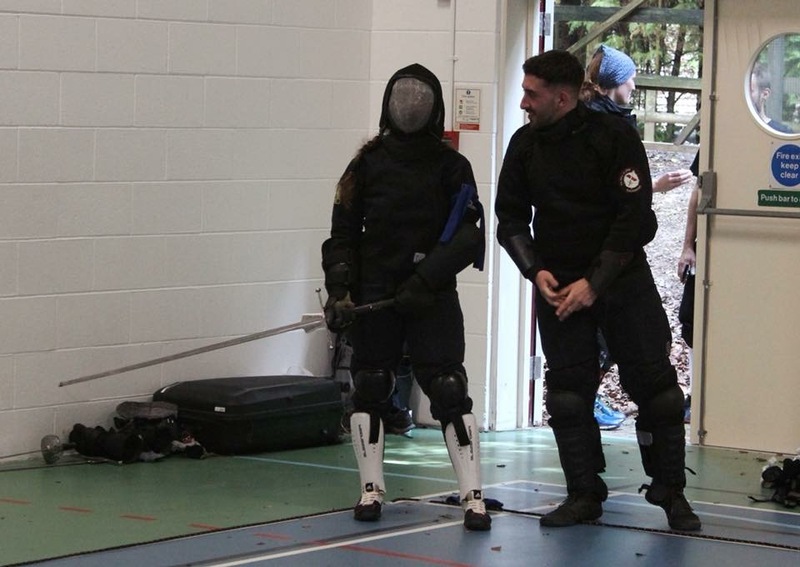 Students gathered at our Godalming venue on Wednesday for our regular training session. 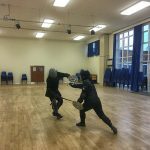 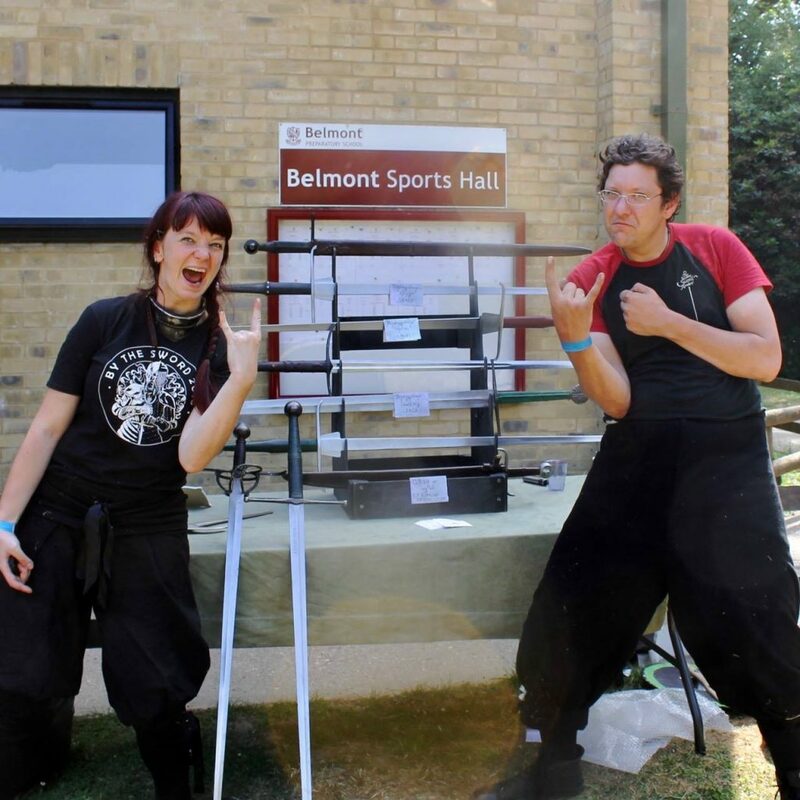 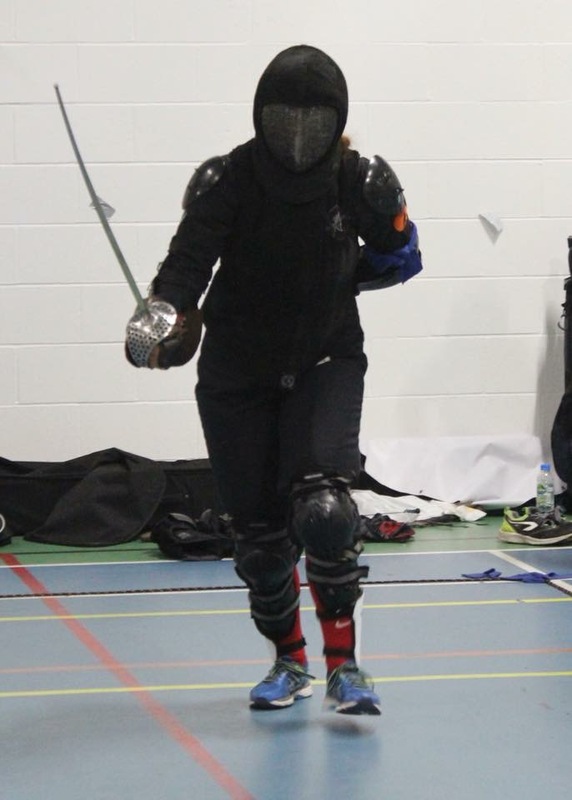 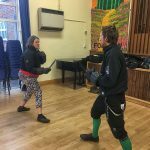 Fran taught a class on sword & buckler, Simon continued his block on dagger and Adrian taught an introduction to rapier. 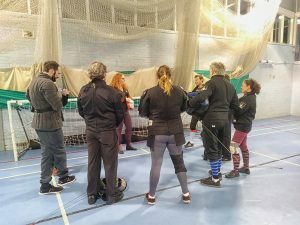 Our Reading students met up last Monday night for our regular training sessions, with three streams of training on offer. 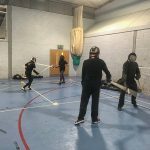 Matt & Chris started a new batch of beginners on their introduction to swordplay, James taught sidesword and Christophe took the rapier group.